1 Disc DVD (Distributor: Signature Entertainment) Running Time: 94 minutes approx. You know you are getting old when youngsters these days don’t even know what dial-up internet is, let alone CDs, vinyl and cassettes. For film buffs this extends to the VHS, and with streaming even threatening to make DVDs and Blu-rays extinct, today’s teens will assuredly be just as baffled by the chunky black boxes as they are by plastic discs. 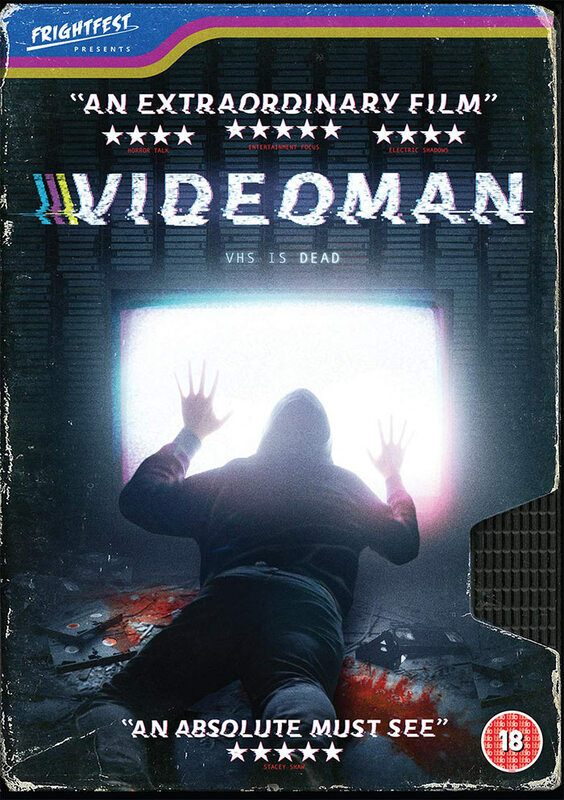 In Sweden in the 80’s and 90’s, Italian immigrant Ennio Midena (Stefan Sauk) ran the most famous video rental shop in the country, but now VHS is obsolete leaving Ennio with a basement chock full of classic videotapes that he can’t pay the rent on. Answering an online ad selling a box of old tapes, Ennio meets Simone Karlsson (Lena Nilsson), a forty-something divorcee also stuck in the 80’s. Among Simone’s tapes is a rare copy of Giallo film Zombie, a highly sought after item for collectors that makes Ennio’s day. Shortly after, he receives a call from famed collector known only as Faceless (Carolin Stoltz) offering him 10,000 Euros for his copy of Zombie, which would clear his debts. They agree to meet but two days before the date, Ennio finds the tape has gone missing. This feature debut from Swedish director Kristian A. Söderström is a slightly odd film in that it has a hard time deciding what it wants to be. It’s part love letter to an extinct visual medium, part-tribute to Giallo cinema, part-Giallo itself, part-melodrama, and part mystery. That is a lot of elements to juggle and on paper shouldn’t mesh at all but Söderström tries his best, with results that will vary for different audiences. Because of this pot pourri of genre styles the central themes are a little muddled, leaving us to wonder if Söderström is in a mocking mood or an empathetic one. Ennio, it has to be said, is not a likeable protagonist, his brash manner, and sense of superiority as a film buff already frame him in a poor light; meanwhile his refusal to adapt or accept modern day values paint him as an inflexible luddite who deserves to be alone. Simone falls somewhere between Ennio’s struggles, devoted to the 80’s as reflected in her wardrobe and tastes in music, yet is keen to embrace modern ways via social media, where her posts are ignored. Having become estranged from her daughter, being treated as a joke at work and feeling invisible on Instagram, Facebook et al, Simone hits the bottle, something else she has in common with Ennio. For Simone this is her escape, a crutch, Ennio’s drinking more out of frustration as a man on edge, but both suffer as a result in different ways. Ennio falls into deep slumbers were reality and fiction blur, finding himself trapped inside a TV screen or being victim to a brutal attack by the mysterious Faceless. What was once his safe haven, the basement video vault, is now a catacomb of foreboding creaks and eerie presences beneath the glare of his multi-coloured lights. Ennio’s paranoia as to the whereabouts of the mission video puts him at odds with his friends and fellow film collectors, portrayed in quite derivative and derogatory forms as a nerdy cuckold to a demanding wife or an obese slob with a messy kitchen but a pristine viewing room. Maybe this is to prevent Ennio being painted as a stereotype to make him a more compelling character, yet his fan boy credentials are exposed during heated arguments over who is the best Italian horror director. Whilst Ennio is being stalked, or so he thinks, by masked men in the dark or strange presences in his basement, Simone is trying to rebuild bridges with her daughter but unlike Ennio, actively hides her drinking from others. But every day brings her a new disappointment and it is back to the bottle as soon as she gets home – having snuck a few drams into her coffee at work when nobody is looking. The only person Simone feels comfortable around is Ennio as two misfits from a bygone era, except Ennio has no truck with social media, blasting the current desire for online status as a form of acceptance. To him it’s all vanity and phoney, preferring the tangible, old fashioned method of being someone in flesh and blood, which he once was when VHS was still king. As opined earlier, it is hard to divine if Söderström is in trenchant rant mode or satirical mode here. 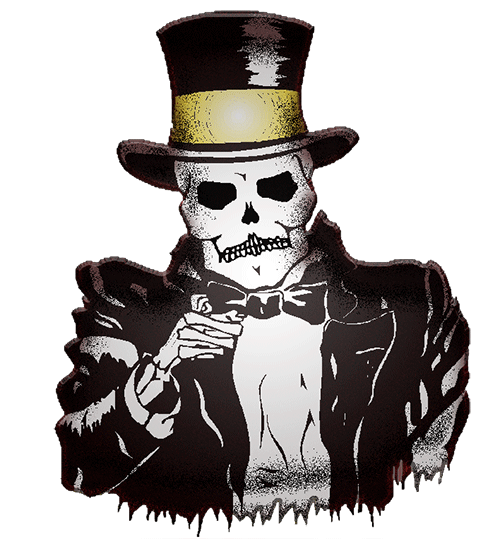 His take on the fickleness and impersonal culture created by social media is valid but refuses to accept how it can give lonely people an outlet to meet others and create bespoke communities for niche fandoms to connect, like Giallo aficionados. An alternate interpretation is seeing two people whose refusal to change is holding them back and if they don’t change they are doomed to rot away alone. However, you choose to decipher the story, the journey is made more palatable by two compelling lead performances, rich with subtle inflections of melancholic self-destruction and dogged resolution not to be brought down by others. Lena Nilsson is arguably the stronger of the two, deftly making Simone a sympathetic car crash of a character, whilst Stefan Sauk carries himself with all the pathos and bravado of a wounded alpha male. Visually, the film will appeal to Giallo fans through the aesthetic nods to the genre, both within Ennio’s vivid nightmares and the lighting in his basement. A mix of reds, purples, and blues, the recreation of the gaudy psychedelic hues prominent in the genre is a nice retro touch but also works as a moody motif to heighten the showdown between Ennio and Faceless. Söderström’s promise as a filmmaker is evident in Videoman although the subject might prove arcane for mainstream audiences, as does it schizophrenic refusal to settle in one style. But as a movie lover’s homage with a twist, it works surprisingly well, a few kinks aside.